248 pages | 24 B/W Illus. For effective preparedness, emergency managers must comprehend how a disaster impacts not only the physical infrastructure of the affected community but also the population. They must understand how the people interact with one another, how they interact with government, and how they react to the disaster event. In other words, they must have social intelligence. Emergency Management and Social Intelligence: A Comprehensive All-Hazards Approach provides a comprehensive framework for understanding a community before, during, and after a disaster in order to best mitigate the effect of a disaster on its people. 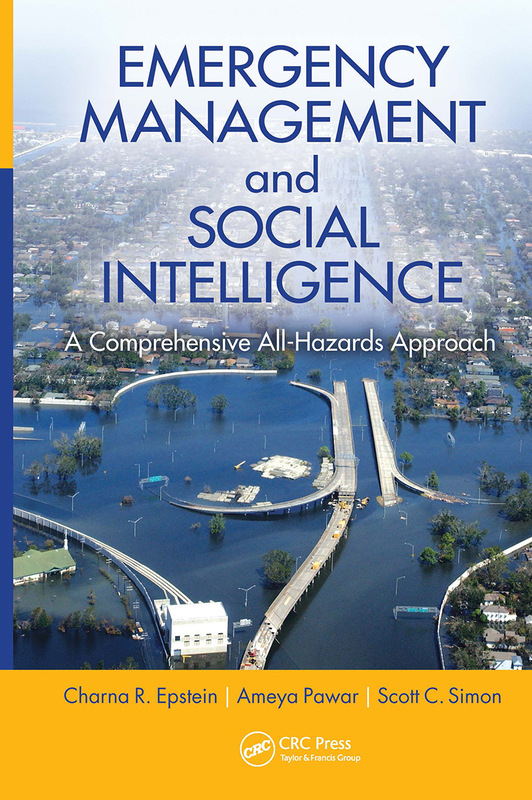 The insight presented in this volume supplies emergency managers, policy makers, and elected officials with a powerful blueprint for implementing social intelligence in any community or organization, maximizing the effectiveness of disaster recovery efforts. Equally important, this volume supplies emergency managers, municipalities, government organizations, and private sector entities with a framework to understand and identify social and economic fault lines in communities. Develop robust statewide policies/programs for community development, etc. Charna R. Epstein is the Chief Operating Officer at the University of Chicago Urban Education Institute (UEI). Prior to her work at UEI, Charna spent over ten years working in emergency and disaster management, primarily as the Director of Crisis Prevention, Resettlement and Disaster Recovery at Heartland Alliance for Human Needs and Human Rights. Charna also worked in Chicago government for three years and as a fellow at FEMA Region V. Among a number of awards, she was the recipient of the 2011 Red Cross Hero Award for disaster relief and preparedness work. Charna holds a M.Sc. in Threat and Response Management (2009), a M.A. in Social Service Administration (2005), both from the University of Chicago; and a B.A. from Brandeis University (1999). Ameya Pawar serves as the Alderman of the 47th Ward on the Chicago City Council. He was elected to office in 2011. Since taking office, Ameya has passed legislation creating an independent budget office for Chicago City Council, passed the nation’s strongest anti-wage theft ordinance, and served on the Chicago Open 311 steering committee. Prior to taking office, Ameya spent 5 years working in emergency management and business continuity planning at Northwestern University. Ameya was a United States Department Scholar in 2009 and was named to Crain’s Chicago Business 40 under 40 list in 2011. Ameya holds a M.Sc. in Threat and Response Management from the University of Chicago (2009) and a M.P.A. in Public Administration from the Illinois Institute of Technology (2007). Scott C. Simon works at BCFS Health and Human Services in the emergency management division in San Antonio, Texas. He holds a M.Sc. in Threat and Response Management from the University of Chicago (2009) and a B.A. from Texas State University (2007).